Congratulations to Drs. 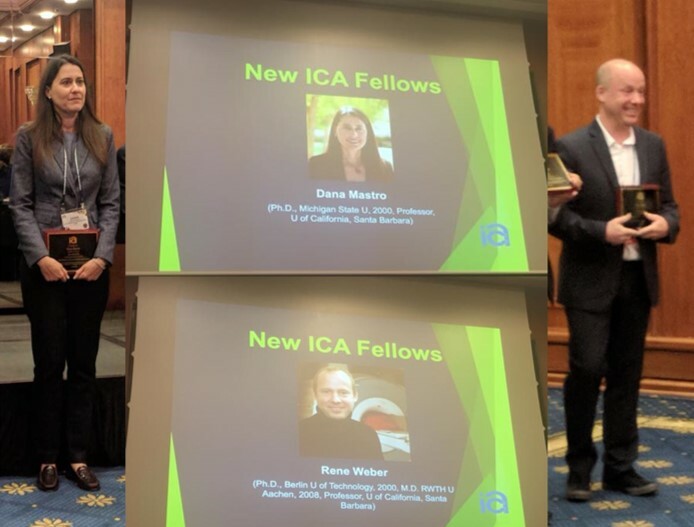 Dana Mastro and Rene Weber who were named ICA Fellows this year! Very impressive showing at ICA 2018. Two Professors, Mastro and Weber, were named ICA Fellows. Linda Putnam was awarded the Fisher Mentorship Award.